Scouting report: A towering, strong first baseman with an excellent frame. Solid overall approach at the plate, solid pitch recognition, good bat speed. Needs to be more selective with down in the count. Also, seems to can have trouble with inside pitches. Doubles power but should project to 20-homer power, even in PETCO Park. A plus defender with Gold Glove potential with a strong arm and surprising mobility for his size. Great baseball fundamentals. Rizzo struggled last year upon promotion after raking in the Padres’ triple-A affiliate in Tucson. He finished triple-A hitting .331/.404./.652, 34 2B, 2 3B, 26 HR, 101 RBIs in 356 AB. The Padres promoted Rizzo upon his unbelievable numbers and because of the Padres offensive struggles on the MLB level. However, Rizzo, Admittedly changed his approach and got into a mechanical bind. The Padres demoted him to triple-A to work out the kinks, and in no time was he smashing the ball again. Rizzo will be the successor to Adrian Gonzalez at first base for years to come. Don’t let his initial MLB struggles fool you. Almost every elite prospect struggles upon promotion. Having said that, the Padres need to just let him play everyday; the last thing they should do is pair him with another first baseman or platoon him. Scouting report: Gyorko was one of the most polished collegiate bats taken in the 2010 amateur player draft. Has very strong quick hands — his bat speed enables him to let the ball travel deep into strike zone and still make solid contact to all fields with authority. He also demonstrates excellent plate recognition. However, at times, opens up and loses outside plate coverage. Can be a little pull happy. Having said that, he has flourished hitting the ball to the opposite field thus far. Gyorko has a very strong stocky frame, and while he is very athletic as a former collegiate shortstop, he should be at least average at third base. His speed is rated below average, but in no means is he a base clogger. Some scouts questioned his range at shortstop coming up and thought he might land at second, but third base is where he will break in to the bigs. Bottom line: Jedd is a pure hitter and is advancing very fast through the Padres system. His bat will profile anywhere on the baseball diamond and we could see him as soon as this year. While Jedd is not a prototypical power hitter, many believe he can hit .300 with 15 to 20 home runs. He should bode well in PETCO, which favors a right-handed, pull-gap hitters. Gyorko, between high-A Lake Elsinore and double-A San Antonio, hit a staggering .333/.400/.552, 47 2B, 2 3B, 25 HR and 114 RBIs. If that wasn’t impressive enough, Gyorko went on to win the Arizona Fall League batting title this year by hitting a robust .437, which is the second-highest average in the history of the league. Scouting Report: Erlin, who came over in the Mike Adams trade, does not have the prototypical size for an ace pitcher. However, like another Padres top prospect Casey Kelly, he is also very athletic and that helps him repeat his mechanics with ease. I wouldn’t classify him as a finesse pitcher by any means. While his four-seam fastball sits comfortably between 88-91 mph, his two-seamer has good running action and tilt to both sides of the plate. Another thing that works in his favor, being a “bad body”-type pitcher, is he is not a max-effort guy. The ball jumps out of his hand quickly, and, as they say, he has “easy gas.” He is a control artist on the mound, pinpointing both sides of the plate effortlessly. He is also a bulldog competitor. To compliment Erlin’s pinpoint control, two- and four-seam fastballs, he has a 12-6-curvball that will buckle hitters’ knees with the best of them. His curvball is a wipeout plus pitch. His change-up doesn’t have the velocity divide you would ideally like to see from a fastball to change-up, but it is improving quickly — partly due to his stellar mechanics and exceptional arm motion. His advanced makeup, along with his exceptional control and repertoire, should give him the chance to be a solid middle-of-the-order pitcher very soon. Last year, between three leagues (two in Texas in the Cal-League and the Texas league, and one on San Antonio with the Padres) he posted a 2.99 ERA in 147.1 IP, walking only 18 (1.0 BB/9) batters, and striking out 154 (9.4 SO/9). Scouting report: A very athletic player. Has natural instinctive feel for pitching. Kelly has three plus pitches: a low-90s fastball he works to both sides of the plate, cutting or sinking it, a hard 12-6-curveball, and an above-average change, which he throws with the same arm motion as his fastball. He has demonstrated excellent command and control. Repeats his mechanics with effortless delivery. Fastball has exceptional downward movement and generally sits between 90 and 93 mph, has touched 95-96 mph. Curveball has the potential to become plus out pitch. Kelly is a strike thrower and will keep the ball low in the strike zone, which should benefit him in the hitters “graveyard” in PETCO. Has demonstrated excellent composure. He is projected to be a top-of-the-rotation starter by some, but I believe he’s closer to a solid middle-of-the-rotation starter with a #2 ceiling. Last year with the Padres double-A affiliate in San Antonio, he went 11-6 with a 3.98 ERA,142.1 IP, 46/BB,(2.9/9) 105 K (6.6 SO/9). Scouting report: Has true five-tool potential. Liriano is a very competitive player who plays the game with a swagger about him. He has had trouble with discipline at the plate in the past, but starting to shut the naysayers up very quickly with his offensive production. He can expand the zone still, but his tremendous ceiling and raw talent for the game has scouts drooling, and he’s only the ripe age of 20 years old. He has tremendous raw power, an excellent plus throwing arm, which is also as accurate. While he might be better suited for a corner outfield position, as he has been playing center field, he reads the ball very well and has very good range. While he’s not a speedster, per se, he is very aggressive on the base paths, and, in the outfield, he demonstrates clearly above-average speed. He is emerging as one of the better prospects in baseball, not just in the Padres system. While he needs to show more on the higher levels, he’s still so young at 20. With four minor-league seasons under his belt, he’s coming off a dominant year at Fort Wayne, the Padres single-A affiliate, in which he separated himself from the competition. He batted .319/.383/.499, 30 2B, 8 3B, 12 HR and 62 RBIs with 95 K in 455 AB. He also stole 65 bases, but he was caught 20 times. He was promoted to the Cal-Leaugue at Lake Elsinore, but only had 55 AB in 15 games while not showing much offensively. Newly appointed general manager Josh Byrnes has gone on record saying he believes Liriano is the best prospect in the Padres system. Scouting report: Sampson is yet another pitcher in the Padres organization with a relatively small frame for a pitcher that is hard to project. He should fill out some, being he’s still only 20 years old. Sampson has sound mechanics accompanied with a very fluent delivery, although he can get into trouble throwing across his body. Despite being small in stature, Sampson sits between 90-92 mph with his two-seam fastball, and can dial his four-seam fastball up in the mid-to-high 90s, usually sitting comfortably between 95-96 mph. He has a plus power curveball that is advanced beyond his years and one of the best in the organization. Sampson’s change-up has a tailing or fading action that he will throw to right- and left-handed batters. He demonstrates a very strong mound presence. Incredible poise for such a young pitcher. He really knows how to pitch, often taking velocity off pitches, or dialing it up depending on the count. He has legit ace potential with his three plus pitch repertoire. Sampson also has the highest ceiling in the system behind Ross, a player I will get to shortly. In 2011, with the Padres minor league affiliate in single A-Fort Wayne, Sampson dominated going 12-3, with a 2.90 ERA in 118.0 IP (limited on a pitch count) with 49 BB, (3.7 BB/9) and a staggering 143 K, (10.9 SO/9). Scouting report: Wieland came over in the Adams deal with the aforementioned Erlin. Solid mechanically. Throws from a three-quarters angle, with smooth repeatable delivery. He is another control pitcher who pounds the strike zone effortlessly. Like many pitchers on the list, Wieland is also very athletic. He is mature beyond his years. Wieland has a natural movement on his pitches. He has a two-seam and four-seam fastball, both of which have very good movement with solid sink in the lower half of the strike zone. When Wieland is on, hitters are not making hard, consistent contact. He throws his two-seam fastball about 88-90 mph, while his four-seam fastball dials up to 94 mph. His secondary pitches are starting to show plus capability. His curvball has a hard late break. His change-up, like many young pitchers’, is still a work in progress — but he’s starting to show signs of harnessing the command in the right situations, and has a nice fading action because of his smooth delivery. His willingness, accompanied with his command to throw his secondary pitches to left-handed and right-handed batters for strikes has been key, and a big part of his success. Wieland doesn’t have an overpowering fastball, so he can get into trouble when he is being inconsistant with his secondary pitches. He has the tendency to overthrow. Some scouts see him as a middle- or back-end-of-the-rotation starter. However, he has made some of the nay-sayers think otherwise after his stellar 2011 campaign, especially after throwing a no-hitter. He might have a higher ceiling than Erlin if he continues to mature and develop. In 2011 between three leagues (two in Texas, and one in San Antonio with the Padres) he went a combined 13-4 with a 1.97 ERA in 155.2 IP, giving up 21 BB(1.3 BB/9) and earning 150 K (8.7 SO/9). Scouting report: Spangenberg was one of the best pure hitters (if not the best) taken in the 2011 amateur draft. He has a very fluid swing. He has good plate recognition and the ability to let the ball travel deeper into the zone, which allows him to use all fields. He also can turn on the inside pitch very well, which could enable him to improve his gap power as he develops. He’s a gamer. A tough, gritty competitor who will always have his uniform dirty, right out of the David Eckstein school of baseball. He is aggressive at the plate early in counts, and he is on the base paths looking to steal. Although he is aggressive at the plate, his plate discipline, along with his exceptional hand-eye coordination and good bat control, allow him to be successful. He won’t chase too many pitches expanding the strike zone. He can get into trouble on the base paths taking dangerous leads because of his aggressive and competitive nature. While he’s not a burner, he does have plus speed. His speed graded 70 or better on the 20-80 scouting scale. Defensively, as you can imagine, he has an above-average arm at second base, shifting over to the right side of the infield. He takes solid routs to the ball, and while his range is not plus, his quickness, along with his athleticism and improving footwork, does bode well at second base. He has nice soft hands, and he makes a quick transfer out of the glove. Last year, between two Leagues (A-ball Eugene and A-ball Fort Wayne) he hit .316/.419/.418 with 17 2B, 1 3B, 3 HR, 45 RBIs, 275 AB and 25 SB in 33 attempts. Scouting report: The classic case of being doubted for what scouts have dubbed as a “bad body” or physique, standing at (generously) 5′-10″ and 190 lbs. Still, Decker has an above average arm, and he is much more athletic than he receives credit for defensively. Decker should be adequate playing either corner outfield position. He can tend to expand the zone. We saw this last year with Jaff’s roller coaster like ride start to finish. He started out like gangbusters having one of the better years in the organization offensively, while coming off a down year in 2010. Then, all of a sudden, he was expanding the zone, striking out and not walking which is Decker’s forte: plate discipline. Decker also has decent speed. Having said that, make no mistake, he’s a pure hitter. His bat should translate anywhere on a baseball diamond. Some scouts see him profiling better in the AL. Any left-handed power threat in the Padres organization is going to have questions translating to the show because of the way PETCO Park hinders offensive production. That aside, I have heard comparisons to Matt Stairs and Brian Giles. Last year, with the Padres double-A affiliate in San Antonio, Jaff batted .236/.373/.417, 29 2B, 2 3B, 19 HR, 92 RBI, 103 BB and 145 K, while also swiping 15 SB in 20 attempts. It should be noted that Jaff did play very well in the Arizona Fall League and in the Missions playoffs, when it really mattered, to cap off the year. Scouting report: Starting out with the obvious, Joe is the brother of Oakland A’s pitcher Tyler Ross. He is an extremely athletic pitcher, something the Padres have emphasized. Ross has very clean mechanics with the ability to repeat his smooth delivery with ease. He has an effortless and easy arm action and his fastball sits between 91-94 mph and has touched 96 mph, but scouts think as he matures physically he will add velocity. His power curvball/slider (or slurve) is also a plus pitch, with late action and heavy bite. Ross is very advanced and already has exceptional command and feel for the strike zone. While his change-up is still in the developmental stages, that’s common for his age. He will need to harness the ability to mix in his change-up to avoid from being a two-pitch pitcher. 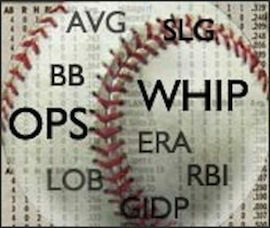 Having said that, with Ross’ elite slurve combination, polished delivery, command and athleticism, accompanied with his developing change-up and projected physical maturity, he is easily the highest-ceiling pitcher in the system. Scouting report: Darnell has a very strong, ideal frame offensively speaking. He is a very athletic natural third baseman, but scouts believe his future is anchoring down a corner outfield spot, and he has enough arm and speed to be at least adequate. His bat will play anywhere on a baseball diamond. He has soft hands at third, but his footwork is below average, which leads him to having too many errors, often of the throwing variety. He has solid eye hand coordination, and very good mechanics at the plate. He has very good plate discipline accompanied by very strong quick hands and bat speed, that should enable him to hit for a high enough average, with doubles-power and flirt with hitting 20 home runs perennially. It should come as no surprise that, being a natural third baseman, he has an above-average arm. His speed is average, but his athleticism, quickness and hustle-mentality play well on the base paths. His defense at his natural position (third base) or a corner outfield spot is a work in progress. Darnell had started to play the outfield in 2011 (albeit a very small sample size) upon the organization’s request, partly due to the talent level above him (Chase Headley), but also the top talent pool below him (Gyorko) and his defensive questions. Because he has played multiple positions in order to become more versatile, it has also been hard to focus on any one primary position. Darnell did get promoted last year upon myriad infield injuries, but he saw limited time. Between the Padres minor-league affiliates in double-A San Antonio and triple-A Tucson, Darnell hit .310/.404/.547, 29 2B, 1 3B, 23 HR, 79 RBI, while only striking out 78 times, in 422 AB. Suffice it to say, with Headley on the Padres roster, and one of the better emerging top prospects in Gyoko at third base, Darnell’s hope (barring a trade or significant injury) will be to transition to a corner outfield spot. Scouting report: Extremely gifted and athletic center fielder, he is light in build but very strong. A very good contact hitter, should excel utilizing his speed being a gap-to-gap hitter in PETCO Park. Has some pull-pop that some scouts believe could eventually translate into 15 homeruns. Still working on plate discipline. Game changing speed. Fantastic range and glove in the outfield, will make the hard plays look easy. Gold Glove potential. Very solid instincts. Fringe arm but good enough to remain in center field. Some scouts have compared him to Jacoby Ellsbury but believe he may become a better hitter and defender. I have heard some questions about his work ethic, so 2012 will be a very important year for him. However, he’s still only 20 years old. Last year in the Padres high A+ affiliate, in the notorious hitter friendly Cal-League, he hit .275/.432/.369, 15 2B, 9 3B, 5 HR and 45 RBI with 41 SB’s in 55 attempts. He did strikeout 117 times, which is concerning for someone who is suppose to be a very good contact hitter. Something he will need to improve to advance on the higher levels. Scouting report: Unlike some of the other Padres prospects, Castro has scouts salivating over his ideal pitcher’s frame. He has the stature and stuff to be a front-of-rotation workhorse. Castro throws with a nice downward plain, working low in the strike zone. He’s somewhat deceptive because his arm slot point comes from behind his ear, driving towards home plate with his strong lower half. Castro has a swing-and-miss, plus four-seam fastball with exceptional movement that sits comfortably between 93-96 mph. He also mixes in his two-seamer that sits between 89-91 mph, which has more run than his four-seamer, but tends to flatten out becoming more hittable. If he can harness the command for mixing in both varieties of his exceptional tailing or running fastballs, he will make great strides. Castro compliments his frastball with a sharp nasty slider with late, downward action that acts as another plus pitch in his arsenal. His change-up has shown improvement, but still lacks the run and consistency of his fastball. If Castro can improve his command of his secondary pitches, along with repeating his delivery with the same throwing motion, he could be a top-of-the-rotation starter. He also has great work ethic and seems to be a student of the game. Some see Castro, at worst, being a very effective closer. However, the Padres have yet to make that transition because of his high ceiling and ideal workhorse frame. Castro had somewhat of a disappointing season in 2011 between double-A San Antonio and triple-A Tucson, going 7-8 with a 5.63 ERA, 115.0 IP, 43 BB (2.9 BB/9) and 94 K (7.4 SO/9). However, interesting enough, the year before between double-A San Antonio and triple-A Portland, he went 7-7 with a 3.28 ERA in 140 IP, while having almost the same walk to strikeout ratio. He gave up many more hits last year than he did in 2010, but some of it could be contributed to a poor defense behind him, pitching in a much more hitter-friendly field in Tucson and some bad luck. Scouting report: Hedges is head and shoulders above the rest of the competition defensively, and not just in the Padres minor-league system. Scouts are “blown away” by him defensively. Baseball America ranked Hedges as the best overall defensive player in the 2011 draft. Some scouts have made comments that he’s the best defensive player they have ever seen. Suffice it to say, whether his bat comes around or not, that’s extremely high praise for such a young kid. He has plus-plus arm behind the dish, cat-like reflexes, and he is as mechanically sound for a catcher as you will find, and not just for his age. His arm is also very accurate, with a great glove to ball throwing transfer. He is also a fantastic receiver with sure hands, and instinctually superb behind the plate smothering pitches in the dirt effortlessly. Offensively, he has good bat speed, strong hands, and a lean physique enabling him to turn on pitches nicely. He has raw power, and internally the Padres were impressed with his raw power when they worked him out and in PETCO Park. His mechanics could use polishing offensively, but he should still translate to having an above-average bat in the bigs. Between Rookie ball in the Arizona League and the Northwest League in low-A in Eugene, he hit .231/.412/.385 with 1 2B, and his first professional home run, along with 4 RBI in only 26 AB. Scouting report: Tate is an extremely gifted athlete. He has five-tool potential, but has been sidetracked with on- and off-field issues, from a sports hernia and a wrist injury suffered from colliding with a fellow teammate to a broken jaw he sustained do to an ATV accident. Add to that two failed drug tests resulting in a 50-game suspension and many scouts are writing Tate off as a premier prospect. So many problems in such a short time span does put doubt that the “toolsy” athlete will never make significant dividends on the MLB level. Yet, all the tools are there. He has plus-plus speed, plus rage in center field, where he seems to get fantastic reads on the ball, and an above-average arm to go along with his raw, untapped power. When Tate is on the field and healthy, he can be a dynamic player. This year will be huge for Tate, and the key will be to stay on the field and remain healthy. He started to show his skills last year before he was popped for the suspension. Between two Padres minor league single-A affiliates (Eugene and Fort Wayne), he was hitting a cool .288/.410/.411, 12 2B, 4 3B, 22 RBI, 19 SB in 39 games and 146 AB. While many other prospects are better, statistically speaking, Tate still has the potential to be a special impact player. I think we could see a jump to the bigs skipping AAA with all those pitching prospects. Usually AA is where you have your premiere talent competing. I wouldn’t be surprised if we saw Castro moved to a pen arm. Having said that, I don’t think their ready to give up on him as a starter. What do you think Mickey? Pads move Erlin, Wieland and Kelly up to the launching pad that is the PCL and shatter their confidence, or leave them in the more neutral, yet not quite the quality of hitters in the Texas League? Would love to see Hedges and Ross get a full season in Fort Wayne, and if the gods smile, a move to Elsinore. I think both have the skills to be in High A by the end of the season. Any talk of converting Castro to a bullpen arm? Not sure if its head that killed him last year or hitters figuring him out. Hope he gets back on track, have not been this psyched about the farm system in 20 years as a Pads fan. Thanks Eric. Yeah it should be interesting to see how Kelly responds this year. Some feel he took a step back, while others still are in love with him, believing he will jump to the majors this year. We shall see about the new CBA rules. I think we will see more tinkering if the system fails, and that’s the good news. They can still change the formula. Confusing right now to say the least. Fantastic write up. Don’t think Kelly has “three plus pitches”, you can count guys that do on one hand, but really a spot on profile of a very good farm system. I hope Byrnes can keep it up, even though the new CBA rules will make it much more difficult. That is a problem, the ball park and competition. He really doesn’t have anything to prove on either the AA or AAA level, but refining his swing, his mechanics will be key. Hopefully he dominates in Spring Training and forces his way onto the Big League club. Good points. Thanks for the explanation. I’m psyched I found your blog. Very enjoyable to read. I hope Rizzo gets it sorted out. I was one of the undisciplined many who wanted Hoyer to rush Rizzo to the Bigs last year, and it proved premature. Hopefully they’ll give him the time he needs, and he’ll develop into what we’re all hoping for. If it were me, I’d consider giving him some time in San Antonio, with lots of games in pitchers’ parks. There is a distinction. He has good bat speed, his problem seems to be his load. Josh Byrnes’s acknowledges that there may have to be some minor tweaking there. The Padres now have one of the better systems in baseball. They may not be filled with Bryce Harper’s of the world, but are still very deep, and very talented. also, I believe they’re fairly well distributed throughout their system. I”m with you, Spangenberg and Liriano are very intriguing and making strides. I also tend to agree that Darnell just needs a shot. I really like his bat, and before he suffered his dislocated shoulder last year on a diving attempt, he was showing encouraging signs. I just wish the Padres had converted him to a corner outfield spot the year before. Thanks for the write-up, by the way. I’m surprised you mention bat speed as one of Rizzo’s strengths. Wasn’t his slow bat through the hitting zone cited as one of the reasons for his struggles at the ML level? I’m really looking forward to watching Liriano and Spangenberg develop. And I’m holding out hope for Darnell in this organization. Many say that he’s great trade bait, but I’d love for his bat to make him a productive player for the Padres in the coming years.